The auction will close at 10:00 pm on 29th January 2019 at our fundraising dinner at Fishmongers' Hall. Bidding on this silent auction will open online at 6:00pm on Tuesday 15th January and will close at 10:00 pm on Tuesday 29th January. During the dinner, guests will be able to bid on all the lots via their telephones or on iPads available on each table. Those not attending the dinner may continue bidding online until 10:00 pm on 29th January. All winning bidders will be informed after the event if they are successful. If you are unable to attend the Fishmongers' dinner but are interested in bidding on any of the items, you can place a proxy bid (or maximum) bid on this page until the event begins. Your bid will be carried forward to the dinner and the system will bid in reasonable increments above the next highest bidder on your behalf (during the evening) up to your maximum bid. If you have any further lots you would like to donate to this silent auction please email. No online bids will be available on the live auction items in advance or during the event. However, if you are not attending the event and would like to place a reserved bid please email before 4.00 pm on Monday 28th January and your bid will be passed to the auctioneer. If you would like to bid at the event over the phone, then please email to make arrangements to do this. The live auction on the day will be conducted by Neil Freeman, from Angling Auctions. All the lots have been generously donated to us by members, supporters and friends, unless otherwise stated. 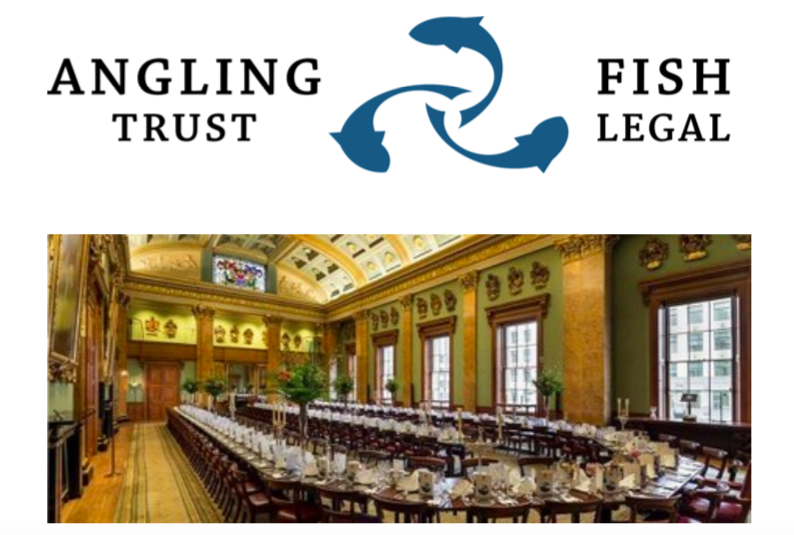 All proceeds raised through the auctions will go directly to support Angling Trust and Fish Legal's part in a new joint initiative in 2019, with WWF and The Rivers Trust, to restore our freshwater ecosystems and fisheries to good health through a mix of advocacy, legal action and practical work on the ground. Please bid generously to support this very important cause.